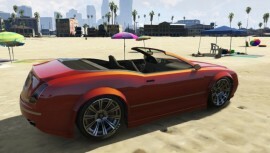 The Enus Cognoscenti Cabrio is a 2-door convertible in GTA 5. 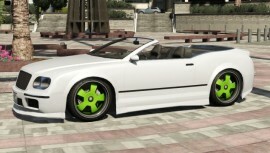 The Enus Cognoscenti Cabrio is a 2-door version of the existing Cognoscenti (GTA IV). 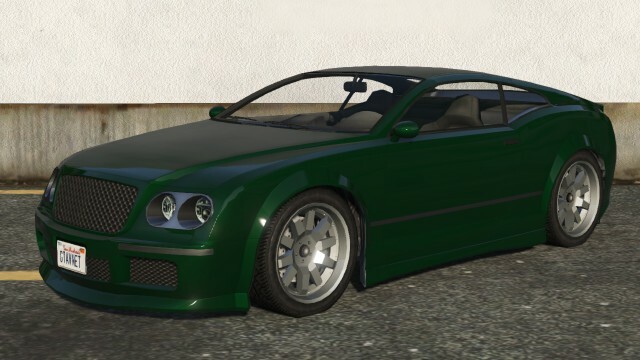 Its design is based after the real-life Bentley Continental GT. The car seems to have the same bonnet and front fascia as the Cognoscenti but has more sloping lines that lead down the side to the rear end. 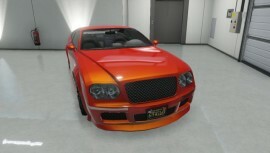 It has the traditional front grille found on the normal Cognoscenti with 3 air intake vents. The front bumper features horizontal chrome strips either side of the main grille, just below its bottom edge. All of these intake grilles are painted black. One vent is in the middle with two smaller side vents on the sides. 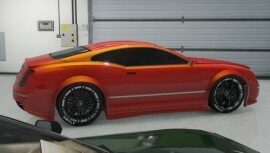 The sides of the Enus Cognoscenti Cabrio feature a more straight line design until it reaches the rear fender and quarter panel. The car has side skirts that fall low to the ground. 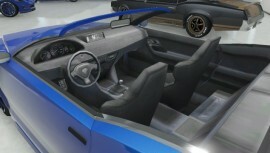 The side windows feature chrome trim along the edges and the B pillar is finished with a black polymer surface. The car features a rear side window that follows the sloping design line and falls to the rear fascia. The rear of the Cognoscenti Cabrio is a hatchback like design with the same general look as the normal Cognoscenti. The Enus Cognoscenti Cabrio features large 10-spoke wheels with wide track medium-profile tires. The top speed of Enus Cognoscenti Cabrio is very good, as well as acceleration, thanks to a powerful 5.8 L V8-engine. 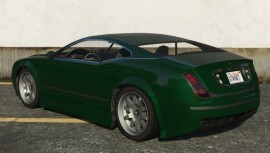 in GTA 5, the vehicle shares its engine sound with the Pfister Comet but with a cleaner tone. Handling is top notch due to a not so lengthy wheelbase, along with a low center of gravity and good weight distribution, although the car’s turning radius isn’t the sharpest. Rollovers are not a factor when it comes to cornering. Visibly it is clear that the Enus Cognoscenti Cabrio ‘s suspension is focused more on comfort. it has a fairly loose anti-roll bar setup within its suspension system, and as a result, it tends to have slightly more body roll. The exhaust note sounds notably sportier than the more hushed saloon version and as a result suggests better acceleration (possibly also due to more than likely lighter weight). 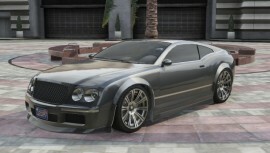 This car may be driven by the Ubermacht Sentinel XS Driver. 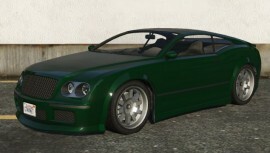 However, because it is considered a high end vehicle, it cannot be stored if you steal it off the street. Many are seen in Vinewood Hills during the mission Marriage Counseling. This is the only time they spawn in traffic. 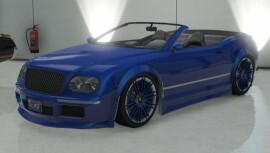 The Enus Cognoscenti Cabrio can be bought for $185,000 from Legendarymotorsport.net.